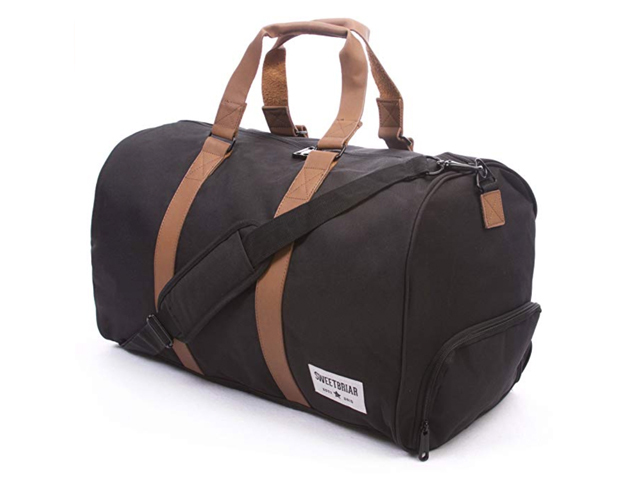 A high-quality weekender bag is one of the best item to have in your luggage inventory. These convenient and versatile bags keep you moving straight from the flight to wherever you need to go—no extra stops at baggage drop and the luggage carousel necessary. Beyond saving you at least a cool $70 in roundtrip checked baggage fees, a good weekender bag is stylish, easy to carry, and some can even keep your clothes wrinkle-free and your shoes tucked away. We’ve saved you the research time and found nine of the best weekender bags for your next trip. And P.S. 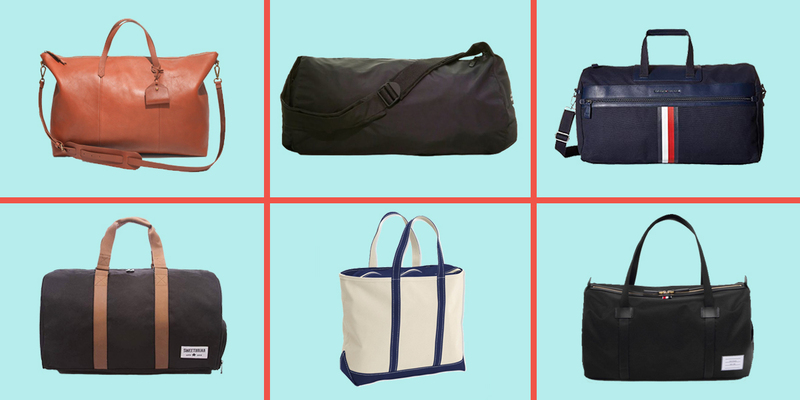 you can definitely use most of these weekender bags on trips longer than two days. There’s no need to sacrifice fashion for function when it comes to Everlane bags. The Twill Weekender looks a lot more expensive than its under $100 price tag, making it one of the most valuable and stylish travel bags you’ll find. It fits into most overhead compartments (double check budget carriers), yet the interior is spacious enough for a week’s worth of clothes. The interior pocket is designed to fit a passport and wallet, or whatever else you need right before boarding the flight. Tommy Hilfiger is a household name for a reason. The iconic New York designer is known for creating stylish items with an all-American preppy twist, and the Icon Duffel Canvas is no exception. The faux leather design and bold stripe details gives the bag a look of sporty luxury and its flat bottom and roomy interior are perfect for a quick jaunt or a longer trip out of town. The crossbody strap conveniently keeps hands free when you’re scrambling to find your mobile boarding pass. Packing a bag for the beach doesn’t have to be complicated or expensive. Case in point? The Tote, Zip-Top Bag from L.L. 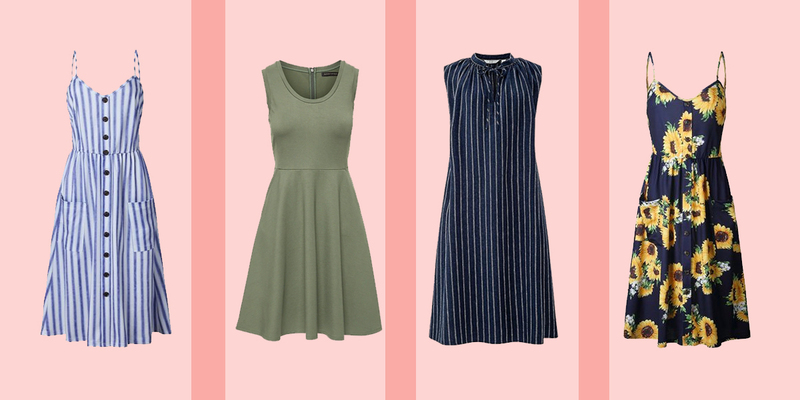 Bean is under $50 and is tailor-made for a beach escape. These bags were originally designed to carry heavy ice blocks and have been made by hand in Maine since 1944. The design has only been improved since then—it can now hold up to 500 pounds. That’s a lot of ice! But we suggest you keep the packing list to bathing suits, Turkish towels, and sunscreen. The zip-top keeps everything securely inside the bag. If you’re on an economy flight, it requires a bit of creativity to avoid paying for a bag, even if you plan on stowing it in the overhead compartment. 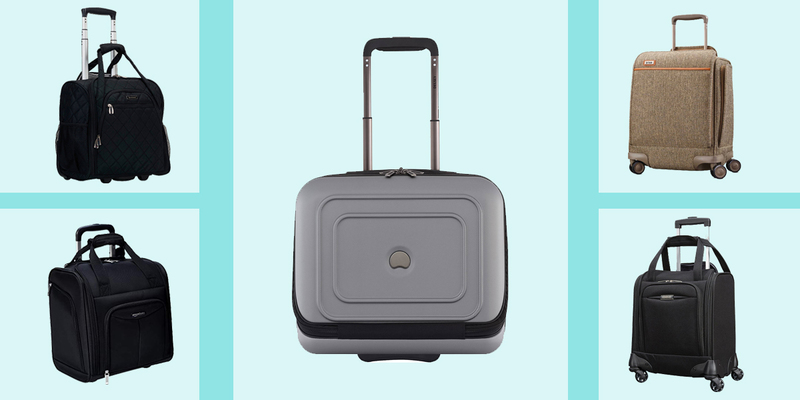 Luckily, Ciao provides a work-around with the Carry On Wheeled Weekender. The under-the-seat bag may be called a carry-on, but on most airlines it qualifies as a personal item (instead of a carry-on, which can cost extra these days). The compartmental design guarantees that you can stuff more into this bag than the backpack you might usually bring and have to pay to pay extra for. And the Ciao's two-year warranty provides peace of mind. Sorry, airlines! The Thom Browne Leather Duffel Bag is for the travelers who don’t deal with coach. This Italian-made leather weekender bag is so luxe, that it will likely be passed down for at least a generation of frequent flyers. The double top handles are easy to grip and an outside pocket can be used to hold whatever needs quick access, such as an ID, passport, or a few loose hundred dollar bills to buy a pre-flight espresso. If you’re the type of traveler who requires at least a few pairs of shoes on one trip, then you need the Sweetbriar Classic Duffle Bag. It has a shoe compartment to keep your Converse sneakers and Jimmy Choo stilettos separate from your clean clothes. Beyond the handy side access for shoes, this under $40 bag has a removable shoulder strap, interior zipper pocket, and enough storage space for most quick trips. 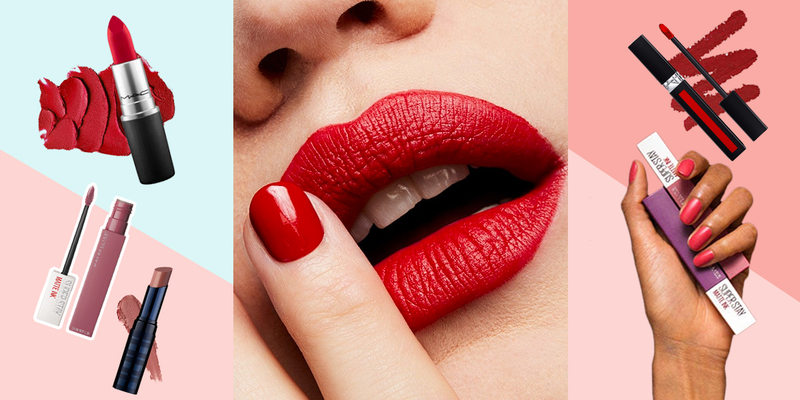 It comes in seven bold colors and patterns. Some trips are seriously all business. 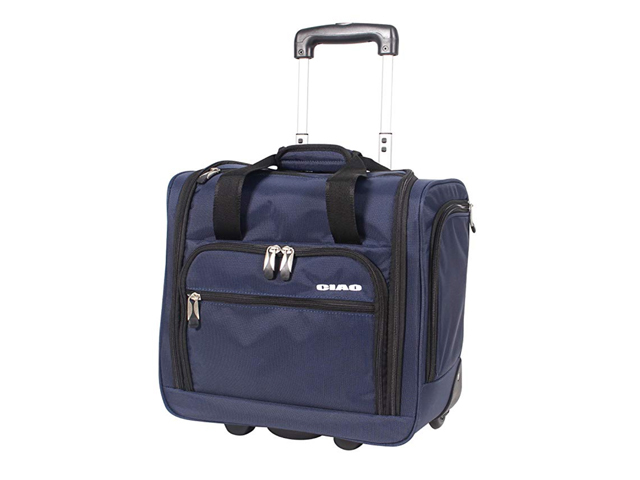 For those times, you need Away's Signature Garment Bag, which has room for multiple hangers, shoes, and belts, plus handy pockets for underwear and jewelry. The hidden hook keeps lets you neatly hang up the bag in the car or in your hotel room. Even if it isn’t technically a weekender bag, you can use it the same way. You’ll thank us when your work shirts are wrinkle-free on arrival. If you live in the city, there’s nothing better than swapping out the bright lights for twinkling stars—at least for a couple of days. The Fjallraven Split Pack Weekender Bag is your ideal camping companion, with both shoulder and backpack-style straps. It has two interior storage compartments that have space for water, camping equipment, and a tablet (you can’t be expected to go completely off the grid, right?). If you need another incentive, Fjallraven puts some of their profits towards nature conservancy, including the endangered Arctic fox you see on the logo. 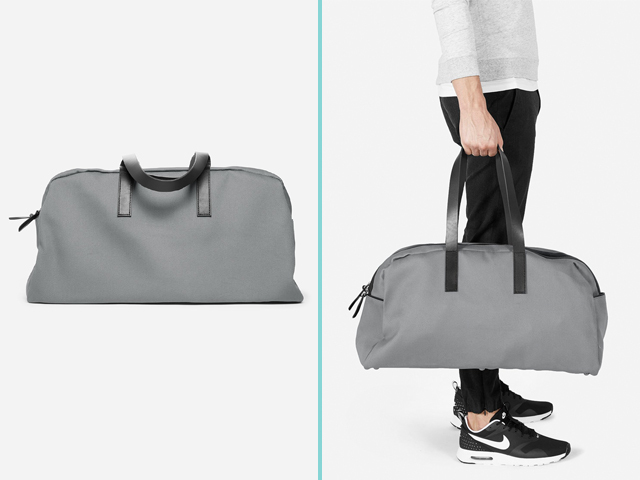 Looking to upgrade your gym bag or need a new way to flex on Instagram (or both)? Then check out the Y-3 Yohji Gym Bag. It sports a modern, athletic design and enough space for several sets of gym clothes, plus shoes, and sports equipment—or a weekend's worth of overnight items and clothes. The zipper keeps everything secure and the brand name keeps the wearer looking very cool. 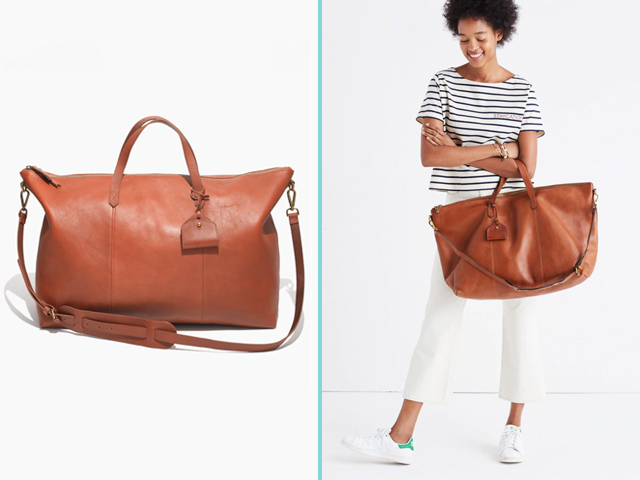 If you're shopping for a polished weekender bag, look no further that Madewell's Transport Weekender. It's made of six pieces of rich leather (either in English saddle or true black color configurations) that will burnish into a lovely patina over time. Inside, there's more than enough space for a full weekend's worth of looks, plus a zip pocket and two open pockets. The best part? You can have the bag monogrammed to make it truly yours.